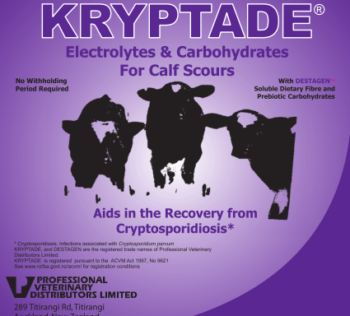 KRYPTADE is an electrolyte formulation aiding the recovery of calves scouring from cryptosporidiosis (Crypto). KRYPTADE contains anti-crypto active ingredient beta-cyclodextrin, and other carbohydrates, amino-acids, and seaweed extract, in combination with ENERVADE (electrolytes and prebiotic carbohydrates). Trials in New Zealand have shown Crypto scouring calves return to milk appetite faster; calves come back to a solely milk diet over 24 hours earlier when treated with KRPYTADE than if treated with the electrolyte components alone. There is a considerable reduction in total electrolyte used to treat Crypto scouring calves. Trials showed that this is consistently about 40% lower. Calves will be noticeably brighter, earlier after treatment with KRYPTADE. Does KRYPTADE work for other Calf Scours? KRYPTADE has been formulated for Crypto specifically. KRYPTADE can be used instead of any other electrolyte for other transit, infectious or nutritional scours. It provides an isotonic electrolyte solution, in a highly palatable formulation. The active ingredient is a carbohydrate, and there is no requirement for a withholding period. otherwise it is used in the same way as an electrolyte. A dose is 80g KRYPTADE per 2 litres of warm water, repeated 6 – 8 hours apart on the first day, and repeated once or twice daily for the next 2 days i.e. it is required for a minimum of 3 days. Is a Diagnosis essential before KRYPTADE is used? It is recommended that a diagnosis is made for all serious causes of calf scours in a rearing unit. There are no specific benefits expected from KRYPTADE unless there is a Crypto component amongst the causative infectious agents. It is therefore important to establish the cause of scours to ensure that any additional benefit over normal electrolytes will occur. One option though for smaller farms when cost of diagnosis is high, is to use KRYPTADE on all calf scours. Because Crypto is so common, many farms will get these benefits without the cost of diagnosis. Though these benefits cannot be assured without a Crypto diagnosis. No. KRYPTADE is no more costly than many other electrolyte combinations on the market in New Zealand. The cost of treating sick calves with Crypto, will be substantially lower than many other products. Benefits of faster return to milk appetite, reduced electrolyte use, and lower hospital mobs are considered. Calf rearers will be substantially better off with smaller numbers in sick/hospital groups. And they will be seeing calves recovering more quickly. Labour costs of Crypto scour treatment will be lower. It is estimated that over 50% of the cost of scours is in the materials of treatment, but other substantial costs are the extra time, and the cost of replacements. 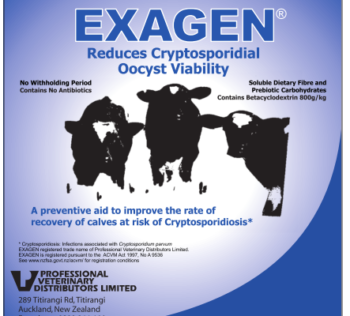 Are there any other products which may be used to treat calves with crypto? 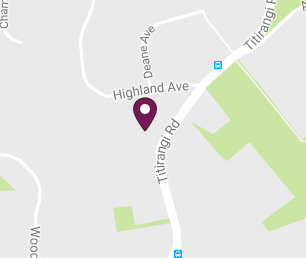 Currently (in 2006) there are no other products available in New Zealand which either assist calves by protecting them from infection, or assisting them by improving their rate of recovery once infected. 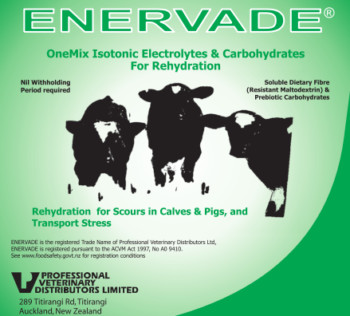 To date treating calves has been limited to providing electrolytes and maintaining hydration until their appetite recovers. Crypto oocysts are extremely resistant to most disinfectants, and once the environment is infected, it is difficult to manage. KRYPTADE is the only product internationally that treats for rehydration at the same time as improving their rate of recovery from scours associated with cryptosporidiosis.